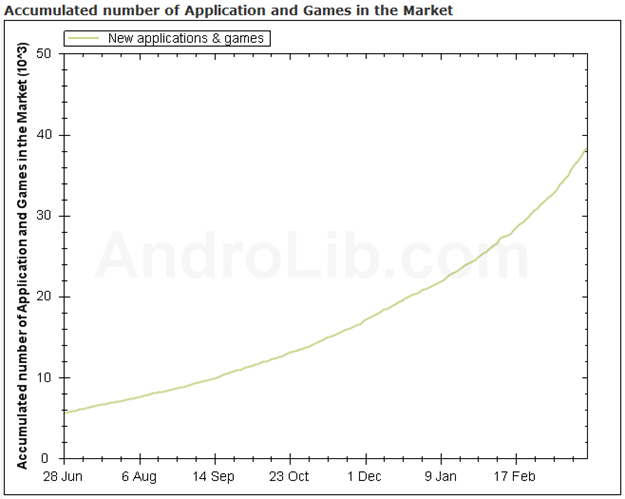 The Android Marketplace counts over 40,000 applications and games as of today, at least according to the online Android Market tracker AndroLib. 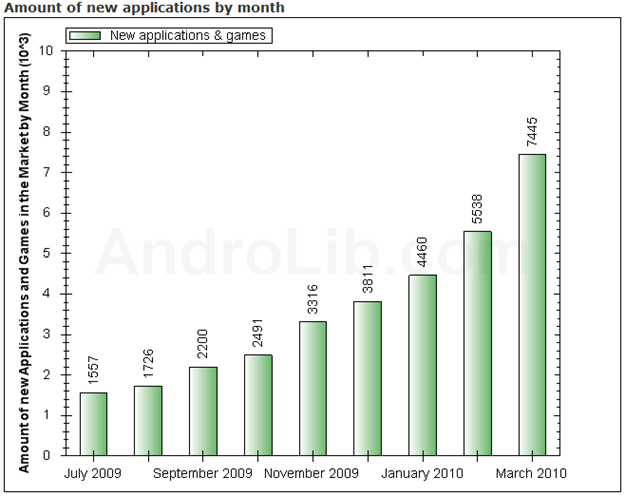 This number is not inflated in any way by counting application updates - AndroLib includes only separate programs in the total. 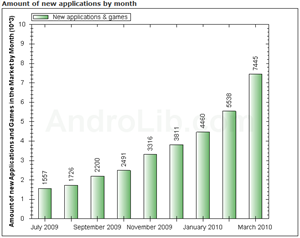 A useful statistics page provides some insight into the daily growth for the curious. 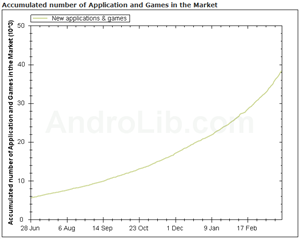 At the pace the Marketplace is growing at the moment, it will reach 100,000 applications by sometime in September, as our math geek Artem reported yesterday. Congratulations to Android on this important milestone.